Biofeedback is a powerful, safe and drug-free mind-body medicine modality. With biofeedback therapy you are trained on specialized equipment which helps you learn to detect small changes in physiological measures such as your skin temperature, heart rate, and respiration. These changes are graphically represented to you on a computer screen. By implementing the skills learned during the biofeedback sessions, eventually you are able to self-regulate your nervous system without the use of the biofeedback instrumentation. By gaining this new level of self awareness, you can have a positive and powerful impact on your health. CST is a system of full-body evaluation and treatment that views the individual as an integrated whole and utilizes gentle, non-invasive techniques. The application of CST helps enhance the body’s innate healing abilities and is helpful for many conditions, including chronic pain, headaches, immune system diseases, neurologic disorders, TMJ, and postural imbalances. Therapist engages in imaging and dialoguing techniques that can guide the patient through an otherwise challenging encounter with long-held emotions. The patient does not need to analyze the problem to release it. Visceral means organ and mobilization means to move. Visceral mobilization is a manual therapy technique that addresses the body's internal organs and the tissues that anchor them to one another and to the skeletal system. Pain and dysfunction can result when organs and surrounding tissues do not work well together. Creating a positional change in an organ can be beneficial to improve function of the organ itself and /or of the muscular and skeletal structures near to the organ. Visceral manipulation can restore this essential motion and eliminate pain. A gentle, non-forceful technique in which the patient’s muscles are actively used from a precise position in a specific direction against a counter force. Techniques are used to mobilize joints, stretch tight muscles and fascia, and improve local circulation. Energy work is a light/no-touch healing modality that seeks to restore and maintain the smooth, natural flow of energies in the body, energy centers (chakras) and electromagnetic (energy) field or aura. By releasing stagnant, blocked or depleted energies it gently, but powerfully, promotes balance, wellness, body/mind/spirit connection and vitality. A body-centered approach to working with the physiology of traumatic stress. Therapist applies pressure along the acupuncture meridian points with the thumbs and fingertips to balance energy systems in the body. Joint mobilization involves loosening up the restricted joint and increasing its range of motion by providing slow velocity (i.e. speed) and increasing amplitude (i.e. distance of movement) movement directly into the barrier of a joint, moving the actual bone surfaces on each other in ways patients cannot move the joint themselves. These mobilizations should be painless (unless the operator approaches the barrier too aggressively). Physical therapy for neurological rehabilitation involves the diagnosis and treatment of conditions affecting the nervous system. Examples include management of brain and spinal cord injuries, stroke, muscular sclerosis (MS) and muscular dystrophy (MD), amyotrophic lateral sclerosis (ALS or Lou Gherig’s disease), Guillian-Barre, Parkinson’s disease, and other neurological impairments. Physical therapists perform comprehensive evaluations to accurately assess the individual’s condition and develop a treatment plan to address the individual’s specific needs. Physical therapists use a variety of exercises, treatment techniques and specialized equipment to address weakness and paralysis, dizziness, poor balance, difficulty walking and moving, and overall loss of functional independence. Evidence has shown that vestibular rehabilitation can be effective in improving symptoms related to many vestibular (inner ear/balance) disorders. People with vestibular disorders often experience problems with vertigo, dizziness, visual disturbance, and/or imbalance. These are the problems that rehabilitation aims to address. The emphasis of the health sciences on fitness and wellness has brought to women’s attention a need to pay closer attention to their bodies during recreation, work, and throughout life. Many physical therapists have specialized training which will benefit women with a variety of medical conditions. 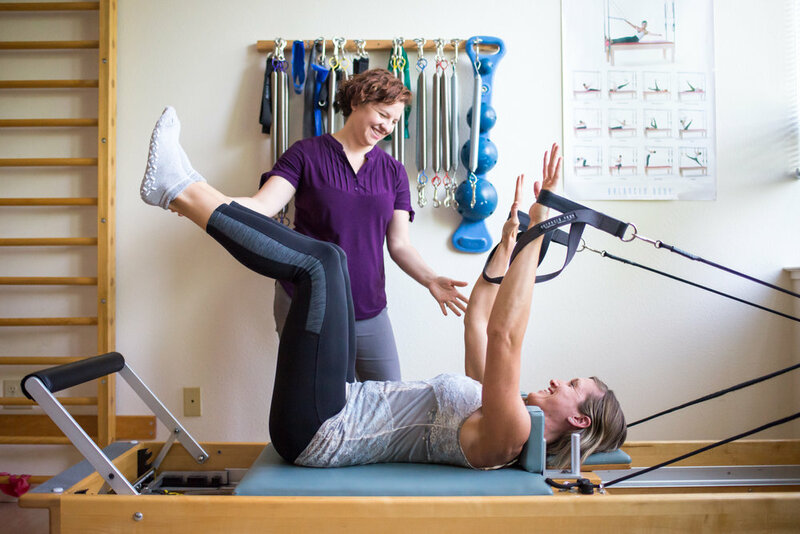 These therapists use every facet of their physical therapy training to evaluate and treat female clients, promoting and enhancing health through the life span. All treatments are individually designed after a thorough evaluation. Some common physical therapy specialties: pelvic pain, urinary incontinence, pregnancy and post-partum, bowel incontinence, breast cancer, constipation, pediatric pelvic health. Spinal traction is a form of decompression therapy that relieves pressure on the spine. It can be performed manually or mechanically. Equipment is often used to mechanically create forces to stretch and mobilize the spine. Spinal traction is used to treat herniated discs, sciatica, degenerative disc disease, pinched nerves, and many other back conditions. Therapeutic Ultrasound is a treatment modality commonly used in physical therapy. It is used to provide deep heating to soft tissues in the body and to increase local circulation and decrease pain and swelling.. These include muscles, tendons, joints, and ligaments. Ultrasound in physical therapy is not to be confused with diagnostic ultrasound, which is n ultrasound that is used to see the inside of the body, such as checking on a fetus during pregnancy. Physical therapy modality using electrical impulses to help decrease pain and swelling, and improve circulation to a particular region of the body. Iontophoresis is a therapeutic modality often used in physical therapy. It is a type of electrical stimulation that is used to administer medication into your body through your skin. When using iontophoresis, your physical therapist is using electricity to push medicine into your injured tissues. There are many different uses for iontophoresis. These include, but are not limited to: decrease inflammation, decrease pain, decrease muscle spasm, decrease swelling and edema, reduce calcium deposits in the body, manage scar tissue. Transcutaneous electrical nerve stimulation (TENS) is a therapy that uses low-voltage electrical current for pain relief. You do TENS with a small, battery-powered machine about the size of a pocket radio. Usually, two electrodes are connected (wires that conduct electrical current) from the machine to your skin. The electrodes are often placed on the area of pain or at a pressure point, creating a circuit of electrical impulses that travels along nerve fibers. Cold is a physical therapy treatment most often done with cold packs or ice massage. Cold decreases blood flow and fluid in the area it is applied to. Cold should decrease pain and swelling in the area that is treated. Cold is most commonly used to decrease swelling in a joint or muscle, or to prevent swelling in a joint or muscle. Heat therapy is used to increase your skin temperature with very little increase in the temperature of deeper areas of your body. Heat causes your blood vessels to get bigger allowing more blood to go to the area. Blood brings nutrients to the area and carries away wastes enhancing healing. Heat is usually applied using moist hot packs, which are wrapped in towels to prevent burning. The warmth created by superficial heat helps by: relaxing your muscles when you are tense, increase blood flow to your body parts, helps in healing your body tissues, preparing your muscles and joints for exercise and stretching. Paraffin is made up of wax mixed with mineral oil. It has a temperature between 118 to 130 degrees Fahrenheit. It is often used to heat the hands and feet. A person dips a hand or foot into the paraffin ten times to form a thick coating of paraffin around the area being treated. The hand or foot is then wrapped in a towel for up to 20 minutes. This allows all the hand or foot joints to warm up. Paraffin is often used to treat arthritis of the hands and feet.